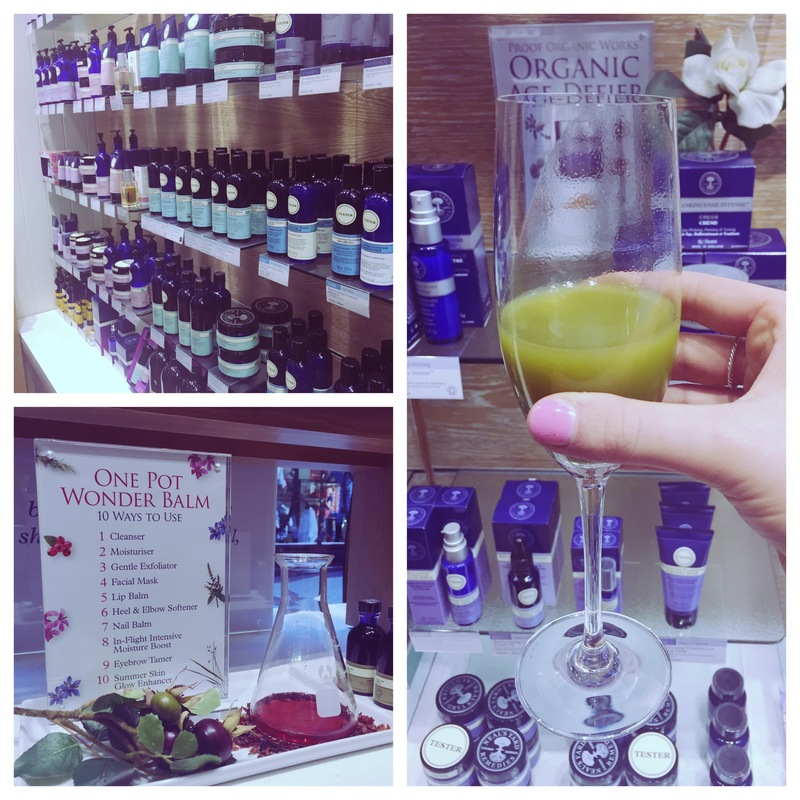 On Thursday night I was lucky enough to attend a taster event for the Victoria Quarter’s Spring Beauty Fix, happening on 25th and 26th April. Myself and the rest of the bloggers enjoyed an evening of beauty bliss from skin-matching tests at Kiehl’s to a make-up session at Illamasqua. 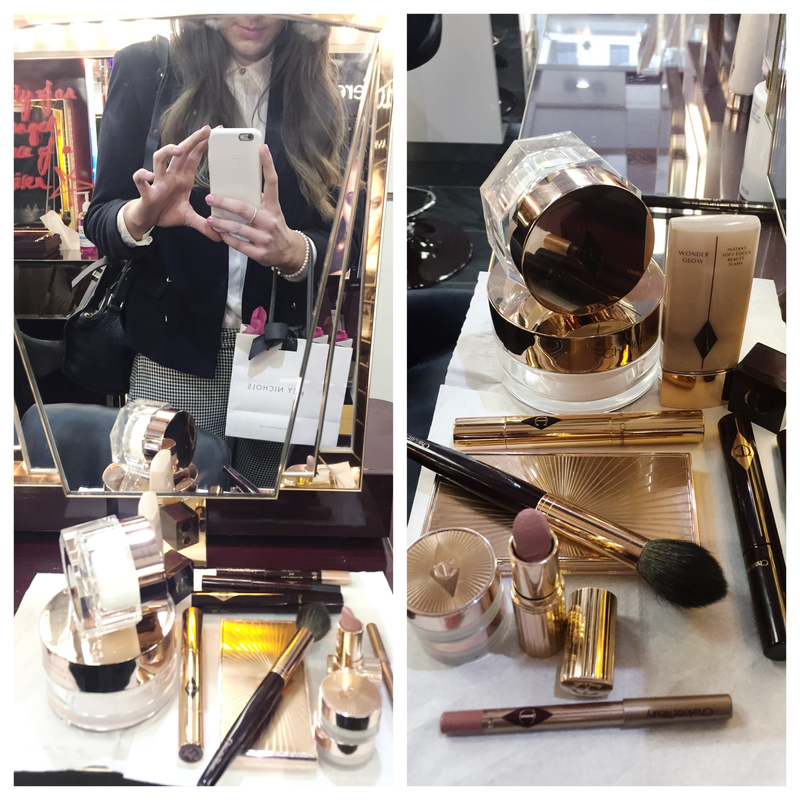 Charlotte Tilbury was a personal highlight; their counter in Harvey Nichols is adorned with glamorous spotlights and beautifully displayed products that are truly irresistible and look so sophisticated. I am dying to try out Charlotte’s Magic Cream and I have my eyes on a Colour Chameleon Eye Pencil in Dark Pearl (bring on Payday). 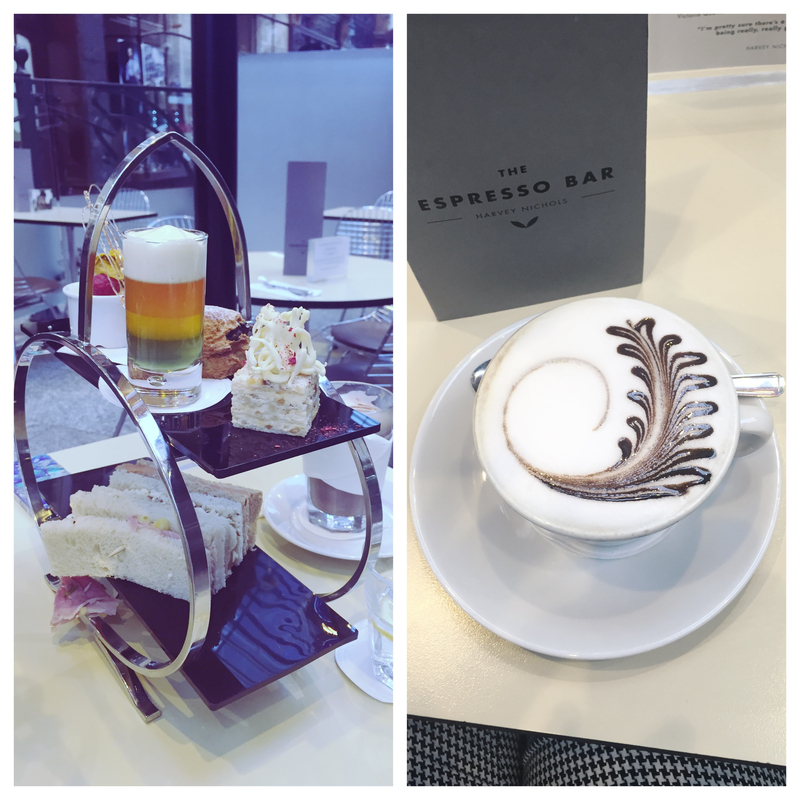 Food followed in the form of Afternoon tea at Harvey Nichols’ Espresso Bar; the perfect pitstop to socialise some more and eat yummy sweet and savoury treats topped off with a scone of course! I found out that the Espresso Bar host a film night most Fridays where you are treated to a fashion-related film in the elaborate surroundings of the VQ plus a three course meal all for £30! A bargain when you think about what you pay at Everyman for a film and just a pizza. Last but certainly not least we visited the ladies at Neal’s Yard who treated us to a Matcha Green Tea Cocktail whilst chatting to us about what makes Neal’s Yard unique. The company believe that a healthy exterior derives from being healthy inside; they sell nutritional supplements such as the Matcha green tea which aids to boost energy and is the equivalent of drinking ten cups of normal green tea! They are an extremely eco-friendly company and firmly stick to their values regarding Fair trade; they haven’t opened any shops in China because of this. Their products are 99% organic and contain therapeutic ingredients that naturally seep into your skin. Emma (from The Awkward Magazine) was treated to a facial massage from one of their long-standing therapists, Judy. It really inspired me to start stimulating my skin more in terms of giving it a quick massage when I’m cleansing my skin on an evening. It can prevent wrinkles by boosting cell production in your skin. Judy used their Wild Rose Beauty Balm to cleanse and massage the face. If you’re interested in trying out any Neal’s Yard products then my readers can get 20% off until the 29th April by quoting ‘NYR Leeds in store’ at their VQ shop. Ps. Have you heard about the Victoria Quarter hosting a Beauty Amnesty during the Spring Beauty Fix weekend? Exchange five used and empty pieces of make-up and receive a £10 gift card to spend in the Victoria Quarter!